The exercise science minor includes foundation sequences in anatomy and physiology upon which the basic principles of exercise physiology, fitness assessment, and the preparation of fitness programs are built. The minor prepares students to sit for professional certification examinations for work in the fitness industry, provides understanding of sports physiology for those interested in sports equipment design and technology, and complements and enhances personal fitness. This minor is closed to students majoring in exercise science or those majoring in biomedical sciences who have declared a concentration in exercise science. This course serves as an introduction to cellular, molecular, and evolutionary biology. Topics will include: a study of the basic principles of modern cellular biology, including cell structure and function; the chemical basis and functions of life, including enzyme systems and gene expression; and the origin of life and evolutionary patterns of organism development on Earth. This course serves as an introduction to animal and plant anatomy and physiology, in addition to the fundamentals of ecology. Topics will include: animal development; animal body systems; plant development; unique plant systems; Earth's terrestrial and aquatic environments; population and community ecology; animal behavior; and conservation biology. This course serves as an introduction to molecular biology, cellular biology, genetics, developmental biology, and evolutionary biology. Topics will include: a study of the basic principles of modern cellular biology, including cell structure and function; the chemical basis and functions of life, including enzyme systems and gene expression; and both the processes and patterns of the organismal development (ontogeny) and the evolution of life on Earth (phylogeny). Laboratory experiments are designed to illustrate concepts of basic cellular, molecular, developmental, and evolutionary biology, develop laboratory skills and techniques for microscopy and biotechnology, and improve ability to make, record and interpret observations. This course goes inside the science of physical fitness providing the student with an in depth physiological understanding of how the body adapts and improves through exercise activity. Students actively perform a series of self-assessments which they must analyze in order to determine their current state of fitness. 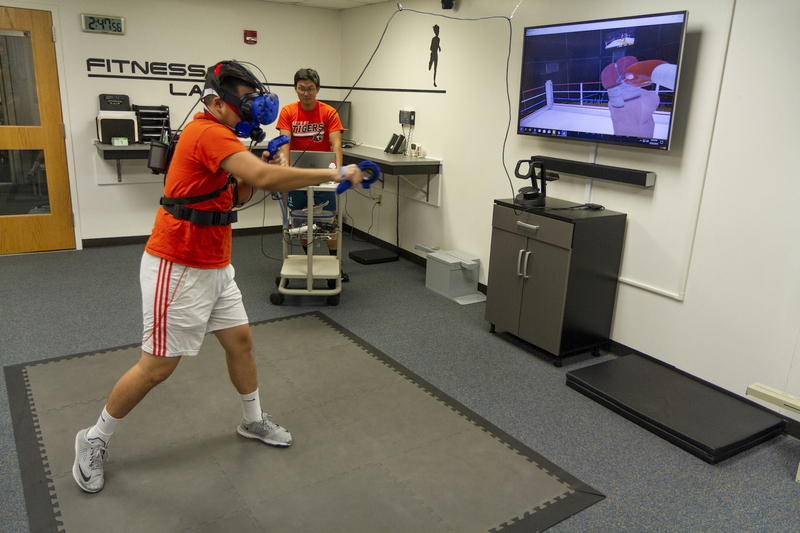 With this data students develop exercise programs tailored to their needs and interests. Stress management and nutrition are examined allowing students to incorporate these two important areas into their plans to be fit for life. This course is designed to provide instruction to prepare students for certification as a Personal Trainer. It examines the role exercise plays in both the enhancement of health and fitness as well as the improvement of athletic performance. Students will develop a basic understanding of how the human body functions while physically active. Case studies are utilized to assist in the development of practical skills. This course is designed for those who are interested in the science of exercise and fitness for individuals with diagnosed disease states, or high performance requirements. The theoretical and diagnostic value of exercise testing will be reviewed. This information will then be used to create exercise prescriptions and understand the therapeutic benefit that exercise will have on specific conditions such as rheumatoid arthritis, diabetes, hypertension, heart disease, and obesity. High performance individuals functioning in challenging environments such as, astronauts, high altitude climbers, and ultramarathoners will also be considered. Human movement is complex and learning to move is an essential component of a lifetime of healthy activity. Exploring the nexus of learning and movement is the primary aim of this course. Using application-based activities students will develop the skills to recognize movement patterns, perform assessments, and correct inefficient movement. After successful completion students will be able to provide appropriate instruction leading to better movement mechanics, reduced risk of injury, and higher levels of athletic performance. Stronger athletes make better athletes no matter what the sport and this course teaches techniques of optimal training to enhance the muscular fitness of all manner of athletes. Physiological principles of strength development and basic musculoskeletal anatomy are reviewed and general program design is discussed. Utilizing case studies, students develop sport specific programs which will be presented to the class. Students will also produce strength training manuals outlining appropriate guidelines for improved performance. As a study of human movement this course will cover topics that begin with a review of the functional anatomy of the musculo-skeletal system including both the upper and lower extremity as well as the spinal column and thorax. Factors of linear and rotary motion are reviewed along with postural analysis and movement elements associated with pushing, pulling and throwing objects. There is no separate Lab for this class and laboratory experiences will be incorporated into specifically designated lecture times. At the conclusion of this course students will have a functional capability to assess the intricacies of human movement. This course will teach students to encourage those with long standing lifestyle habits that contribute to their chronic illness to change is a very challenging proposition. It addresses this problem by incorporating psychological, sociological and counseling principles, along with coaching skills, into an intervention technique that emphasizes the positive and leads people to choose and adhere to a wellness lifestyle. Students will review case studies and meet with professionals in the field. Group exercise has progressed to include a wide variety of activities, equipment and environments. This course explores both the dynamics of group participation as well as techniques of instruction across a number of modalities including; hi/low impact, step training, kickboxing, sport conditioning, stationary indoor cycling, water exercise, yoga, and Pilates. Students will not only learn theory but will also design and teach classes to one another. Graduates of the class will be prepared to achieve certification in many of the modalities included in the course. A growing number of employers are recognizing the value of healthier, more physically fit employees and are providing health promotion programs through a variety of innovative means. This course will examine the theoretical basis for employee health programs as well review several case studies. Students will have the opportunity to visit and review local programs as well as design a model program to present to the class. Our nation's growing population of senior citizens presents both challenges and opportunities to our healthcare system. This class explores the opportunities and the processes of enhancing the physical fitness and functional capacity of aging adults. Principles of assessment, prescription and adherence are modified to meet the needs of senior citizens and students will examine several case studies. Students get to apply what they’ve learned by designing and conducting exercise sessions with actual participants. Following a heart attack many people feel as though their health is lost, however those who participate in a cardiac rehabilitation program experience a much higher rate of recovery. Students will explore the physiological principles of rehabilitation through a thorough review of atherosclerosis and the process of adaptation by the cardiovascular system to proper exercise. 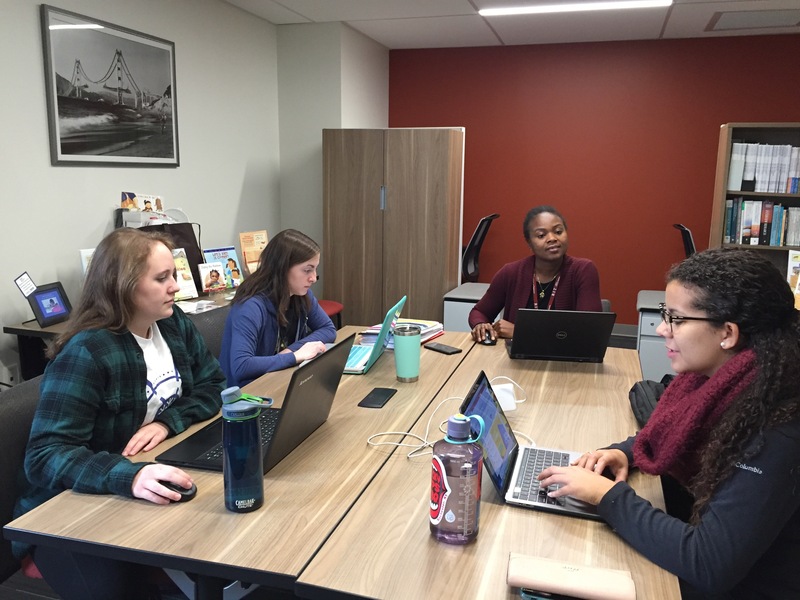 Through the class, students will visit local cardiac rehab programs and design exercise prescriptions and educational programs for case studies. The study of mechanics as it pertains to living organisms is the basis of biomechanics. Principles of physics are applied to human motion with movements being analyzed for their relationship to statics and dynamics. Kinematics and kinetics are explored within the context of sports performance and functional human locomotion. Even the very best athletes experience injury and being able to recognize and respond to those conditions is a crucial skill for those who will work with athletes. Students will learn the signs and symptoms of injury and the process of first response as well as how to support athletes through rehab. Successful students will learn how to incorporate injury reduction techniques into the training programs they develop for the athletes they serve. Aerobic capacity, strength, flexibility, speed, power, agility, nutrition, and rest are all crucial to the success of athletes and for trainers the need to appropriately coordinate all these factors is a significant challenge. This course explores the interrelationship of the multifactoral principles of athletic performance. Using case studies, modeling, flow sheets and scheduling plans students develop techniques that will lead athletes to success in their training routines. This course is an integrated approach to the structure and function of the nervous, endocrine, integumentary, muscular and skeletal systems. Laboratory exercises include histological examination, actual and simulated anatomical dissections, and physiology experiments with human subjects. This course is an integrated approach to the structure and function of the gastrointestinal, cardiovascular, immunological, respiratory, excretory, and reproductive systems with an emphasis on the maintenance of homeostasis. Laboratory exercises include histological examinations, anatomical dissections and physiological experiments using human subjects. In this initial course of the Exercise Science undergraduate curriculum, students will be introduced to a broad array of topics within the field. Through an introductory review of body systems and physiological concepts students will gain an understanding and appreciation for the processes of response and adaptation which enhance and improve both health and fitness of people who exercise regularly. Career options will be reviewed and explored giving students an informed exposure to potential areas of future employment. This course will provide an introduction to the integration between exercise and nutrition-related topics by exploring the intimate link among nutrition, energy metabolism, and human exercise response. The course content will sort fact from fiction and help students and practitioners obtain the knowledge they need to give sound advice to athletes and active individuals.